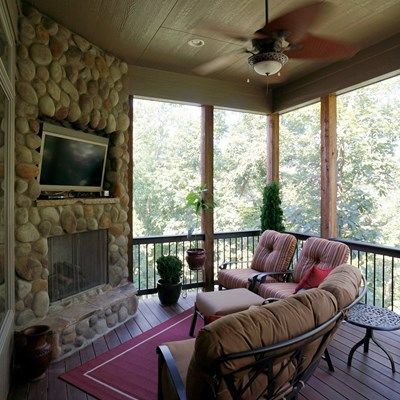 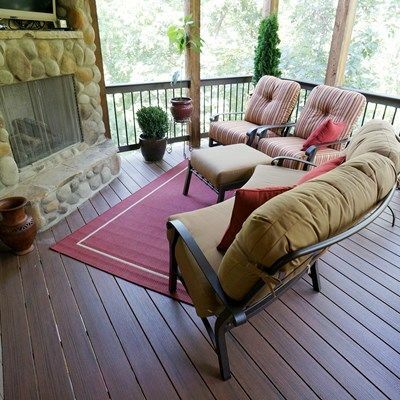 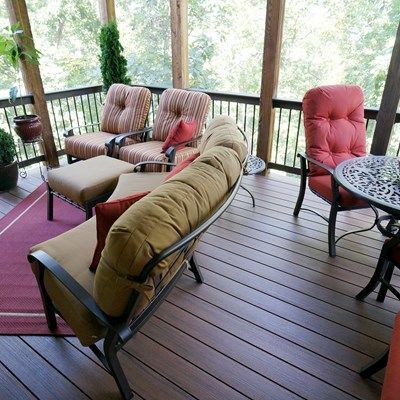 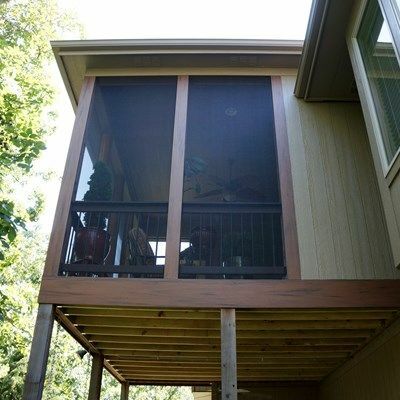 Screened porch with TimberTech Evolutions Decking in Walnut. 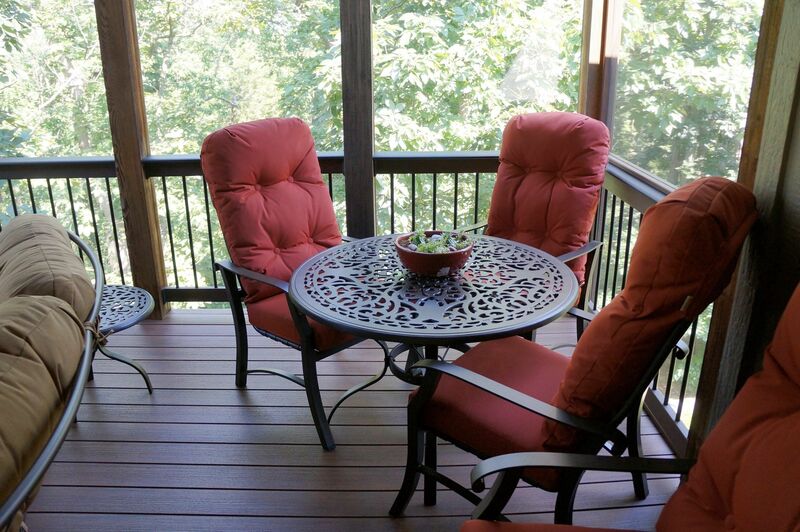 Railing is fully composite with aluminum balusters. 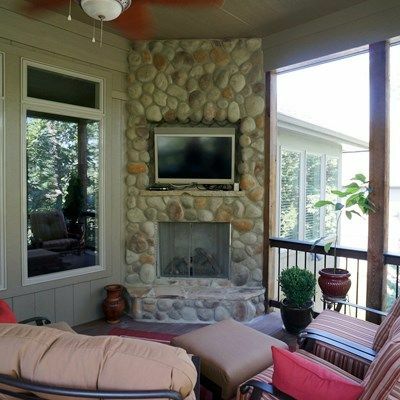 Corner gas fireplace was built with a recessed nook for LED TV.